Congratulations to Administrator 7 and the Legion, who have prevailed to open the third Vault Door, and have exclusive access to the Vault Breaker III achievement along with the Magma Grenade. But, as they say, it ain’t over ‘til it’s over, and there’s still plenty of fight left to be had! The resourceful Exiles have shown that they are capable of great things when rallied behind a common cause. Could the Lawman be the charismatic, unifying leader they've been waiting for? With the fall of the third Vault door, players will be fighting the fourth and Final Vault Door, the true entrance into the Delta Vault. You may have thought that the first three were a challenge, but this one is the real deal. This is for all the marbles (I lied, there are no marbles): the alignment that manages to power through this behemoth will be declared the winner, and determine the final outcome! What’s contained deep within the Delta Vaults? To find out, you’ll have to attack the door with all you’ve got. Grenades will continue to drop, and the new War mission chains (going in for real this time, and available from your alignment lieutenant: Ulysses for the Exiles and Valestra for the Legion) will go a way towards blasting down that door. In addition, we’ll be introducing a limited-quantity grenade for both alignments: the Om Nom Bomb! This rare grenade summons mechachillids to gnaw on the Vault door itself, then go boom! These grenades will only be available from the Heavy Mechachillid outside the final door at will not be available through war drops! ***To ensure that as many different players get to use the Om Nom Bomb as possible we will only be allowing players to purchase one bomb at a time. You can purchase more after using the item, but you can only have one in your inventory at a time! We'll also be adding new credit-only Mechachillid-based weapons for both Legion and Exile forces! 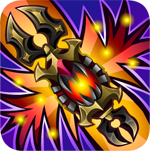 These weapons will not have any special skills, but will allow a wider range of players to own rare Infernal War weapons! With all the new grenades and grenade drops, please keep in mind that there will not be another Vault. Remaining grenades in your inventory after the war can be sold back to clear them out of your inventory, but there is absolutely no incentive to stockpile them. Grenades are happiest when thrown. Make your grenades happy and huck them at that blasted Vault! ArtixEntertainment staff will NEVER ask for your password or other personal information. If someone claiming to be me or another staff member asks for your personal info, please report them. We will NOT conduct moderator searches via Facebook. When we are calling for moderators, we will announce in the games’ design notes. Probably the worst way to go about becoming a moderator is to contact one of us and say “Can I be mod?”; the best way is to make yourself stand out by being polite, constructive, and helpful. Also, players under the age of majority (that’s 18 in the US) will not be considered for moderator positions. You can contact us for more information about staff positions, but if you are looking for a position as development staff, be prepared to send a resume/CV, cover letter, and portfolio of relevant work (ie. programs you’ve written, examples of your art or animation, or a writing sample). Demanding a job saying “I should be staff because I have good ideas so hire me now” does not count as a cover letter. Anyone offering you a job at ArtixEntertainment in exchange for your personal information is trying to scam you. This fact portion is not about insects. Earlier I tweeted about something that made me inconsolably sad: squirrels do not remember their friends following hibernation. That statement comes from a 2010 study by Jill Mateo (“Self-referent phenotype matching and long-term maintenance of kin recognition”. Animal Behaviour. 80: 929-935) which was conducted on Belding’s ground squirrels (Urocitellus beldingi). These ground squirrels, native to the Western United States are extremely nepotistic and are considered a model system for studying kin recognition. In this study, baby squirrels were separated from their litter and raised by foster mothers in groups that were not biologically related. Following hibernation, squirrels were able to recognize their siblings, but not their foster brothers and sisters, suggesting that they are comparing the scent of newly-encountered squirrels to their own scent. They appeared to retain no memories of their fostermates following hibernation. This actually contradicts data from social insects, such as ants or wasps, who maintain long-term memory of nestmates following overwintering. So, the question is: would mechachillids aroused from hibernation remember you?